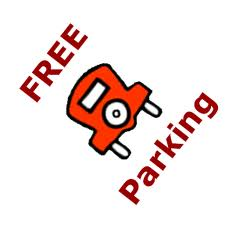 Free Parking in Claremorris everyday from 1pm from December 2nd to December 31st. At total of 26 new jobs are being brought to Claremorris by new companies setting up or existing firms expanding. The global dental benefit management company DeCare Dental Insurances is adding 10 new positions, increasing its workforce in Claremorris to 100. The commercial and web video production company, Freelance It Media, is relocating 10 jobs to the town. Nursing care and home care provider, Communicare, is setting up a new base in Claremorris to serve the west of Ireland, adding three new positions initially. And the online marketing and web design startup, Milk Marketing, has created three new jobs. Three of the four have set up at Innovation House, one of a number of premises in Claremorris with ‘fibre to the building’. This provides high-speed broadband through the ultra-fast Metropolitan Area Network circling the town. DeCare’s general manager Maureen Walsh says high-speed broadband and a skilled labour force keep the company competitive in Claremorris: “We’re growing our business and workforce because we know Claremorris has the talent and technology we need”, she says. Freelance IT Media director Adrian Connolly says the clincher for his firm is the town’s location “in the middle of Connaught. That gives us ready access to the corporate client base we are developing”, he adds. Location is also a key factor for Communicare: “Our goal is to grow our nursing care and home care business in Galway, Mayo, Roscommon and Sligo. The best place for that is from Claremorris”, says CEO Rosaleen Kelly. For Milk Marketing director, Andrew Cosgrove, the deciding factors are cost competitiveness, fibre broadband, and location: “We can reach our customers as effectively and more cost-effectively from Claremorris than from Dublin, enabling us to relay the savings to our clients”, he said. Chamber president Jimmy Flynn says he expects further good news on the jobs front in the months ahead. “Claremorris has it all: a top-class infrastructure, a can-do attitude and a strong community spirit. The business environment, community ethos and quality of life continue to attract new firms and additional jobs”, he said.